ALL THREE CHICAGO PREMIERES SEEN TOGETHER IN ONE PROGRAM! Sunday, Nov. 1, 5:30 p.m., AMC Northbrook Court. Sunday, Nov. 8, 10:30 a.m., AMC Northbrook Court. 40 minutes. 2014. Directors: Oded Binnun and Mihal Breziz. With Sarah Adler and Ulrich Thomson. In English and Hebrew with English subtitles. What if you were waiting for someone at the airport, and instead picked up a stranger? Funny, charming and bubbling below the surface with the excitement that comes of unexpected possibilities, this Oscar-nominated, Ophir-winning gem might tempt us all to deviate from life’s expected script. 13 minutes. 2014. 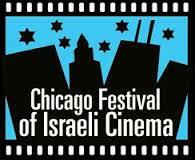 Directors: Guy Nativ (Magic Men) and Erez Tadmor (A Matter of Size). With Reymonde Amsallem and Lior Ashkenazi. Silent. 30 minutes. 2012. Director: Leon Prudovsky. With Ola Schur Selectar and Irit Kaplan. In Hebrew and Russian with English subtitles. It’s 1991 in this hilariously clever mocumentary. Twelve-year-old Misha and his family are part of a massive Jewish immigration from the USSR to Israel, and he’s filming the whole thing—including the bureaucratic nightmare that unfolds when his great aunt dies right before they deplane.